As the writer of a gadgets, technology, and marketing blog I am asked time and time again should I hire a company to run my marketing campaigns? I feel if you are talented, have the time, enjoy the process, than by all means DO IT YOURSELF! When I say yes to this questions it’s usually because one or two things. Number one you don’t enjoy anything having to do with marketing and your expertise lay elsewhere. Or number two your company is large enough that spending money on a marketing company makes no significant dent in your company profits. Arrive at the Gravis Marketing web site and you’ll be greeted with the words, “Relationships, reputation, and results.” I’m using them as an example to illustrate my point. A company like Gravis would be a solid choice for those that meet one or both of the criteria in previous paragraph. Sometimes in order to grow a company the business owner has to get out of his or her own way. By utilising the full potential of Gravis digital marketing the following can be achieved: “Broadcast your outreach to a wider audience and perform a digital integration with market research. Send simple automated surveys through Smartphone texts, which consumers can respond to with a quick push of a button. Delivery of information campaigns for consumers, clients and/or voters. Connect with votes on a personal basis and capture technically savvy consumers that never pay attention to printed materials.” Gravis Marketing can do everything from creating new web sites, social media channels, or just website copy/digital media copy for existing websites/social media channels. 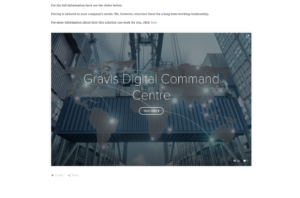 What Else Can Gravis Do? What Can This Gravis Phone Be Used For? “Political Campaigns, fundraising, telemarketing, get out the vote, lead generation, business to business sales, appointment scheduling, collecting payments, market research, polling, charities, schools, customer service, service desks, appointment reminders, businesses or campaigns which you make many outbound calls, and collections.” The possibilities are nearly endless. 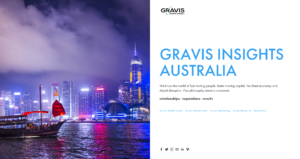 The world is moving faster than ever, choose a company that “knows this world.” Anyone looking for marketing services whether business or government should look into Gravis Marketing. It’s a company that “prides itself on professionalism, ability to adapt, courtesy, and understanding that each client is unique.” A company focused on these core values bodes well for a strong long lasting relationship.